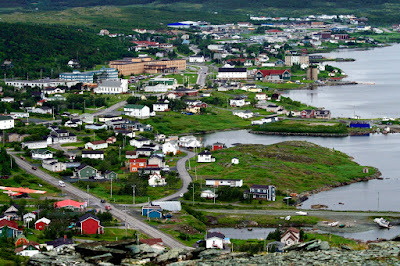 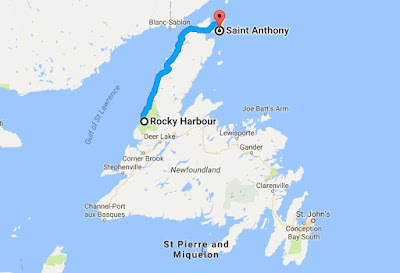 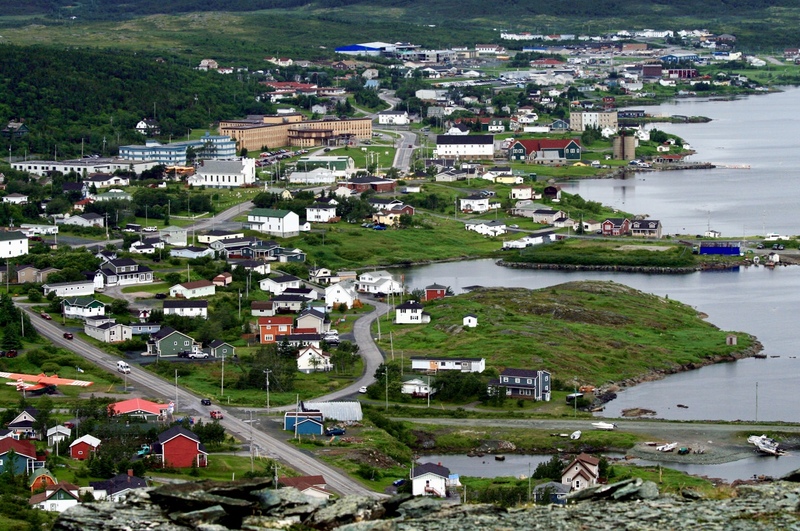 Our next destination, St. Anthony, is 347 km north of Rocky Harbour. 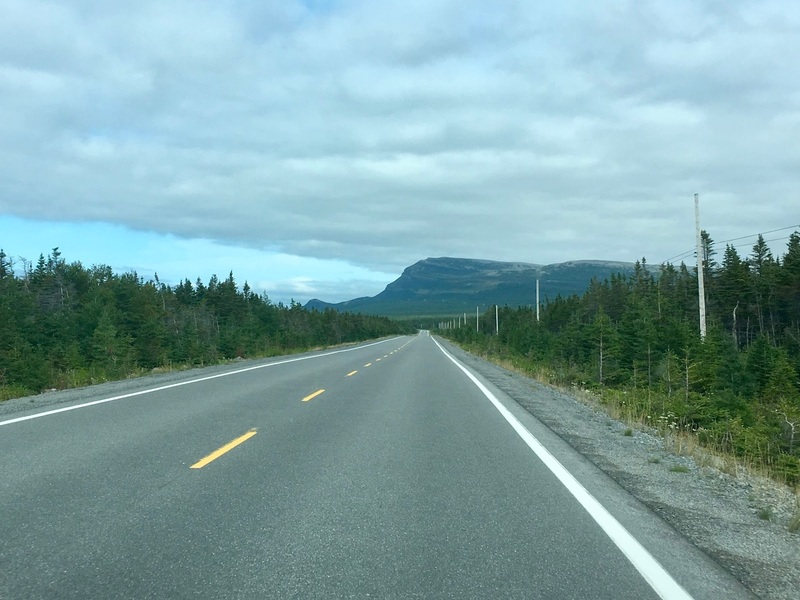 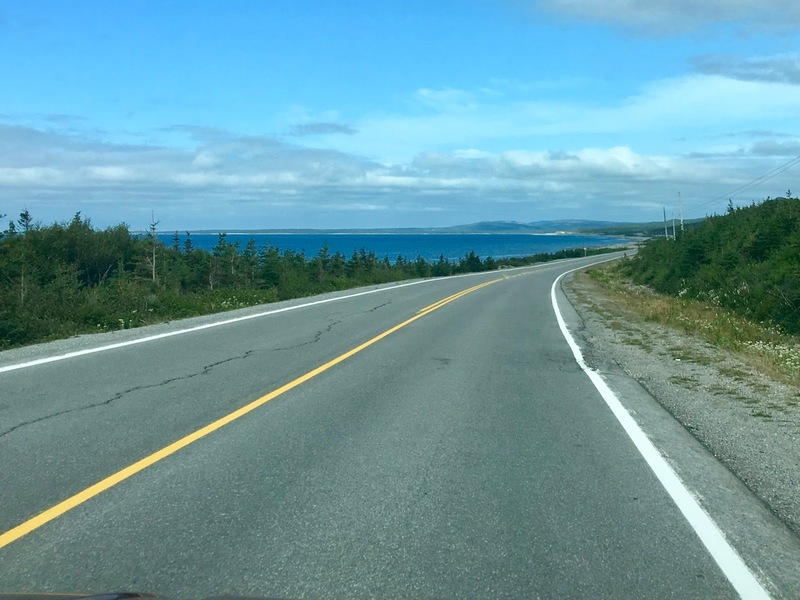 The highway hugs the coastline for the most part and while there are charming fishing villages dotted here and there we found this part of Newfoundland desolate. 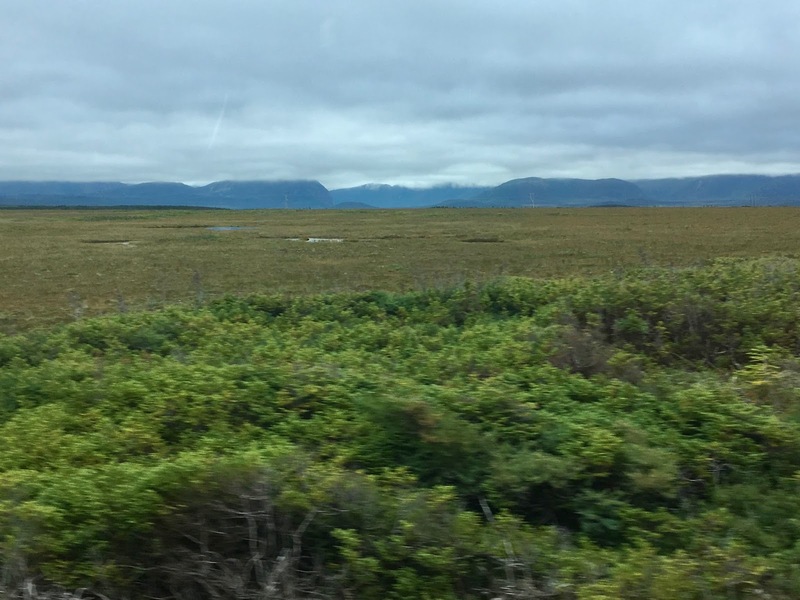 Perhaps the weather played a role in our evaluation as we began the journey under overcast skies. 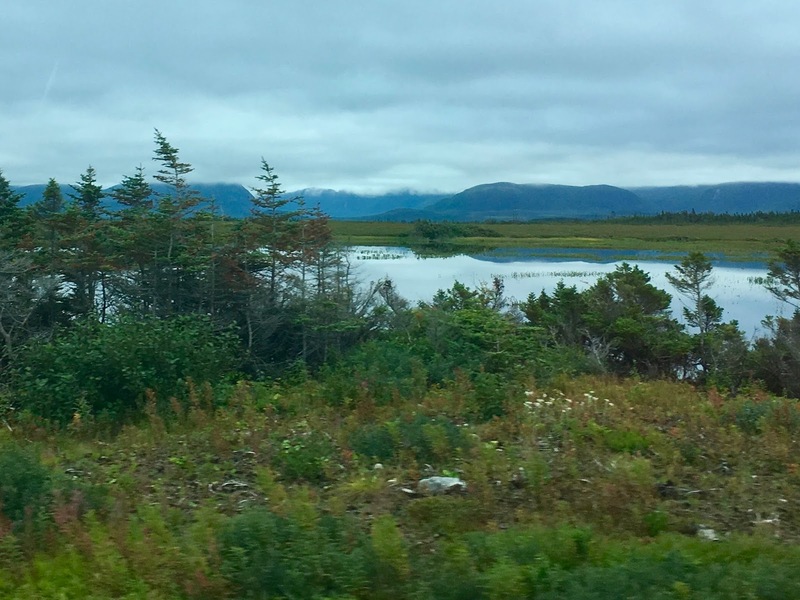 And while the Gros Morne region (above) is mountainous this landscape quickly deteriorates into a flat, barren surface. 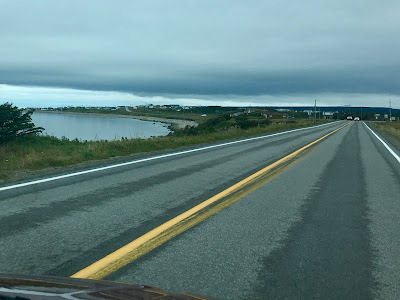 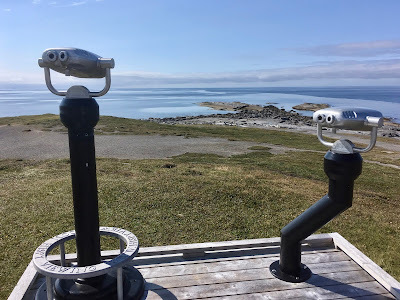 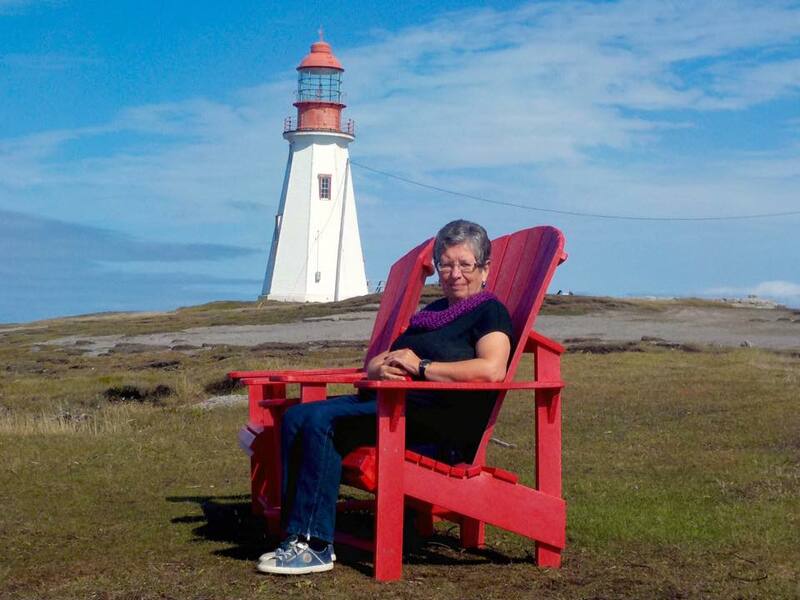 The midway point is the community of Port aux Choix where we stopped for a cup of coffee. The waitress recommended a local dessert called "Figgy Duff" and we gave it a try. 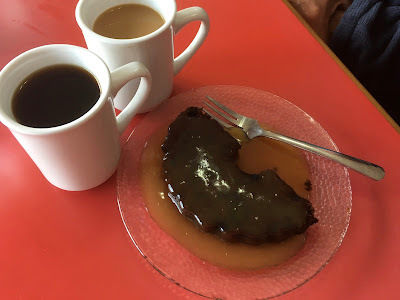 This molasses-based spice cake is very much like a Christmas pudding minus the fruit and so good that we ordered a second piece that John devoured lickety-split! 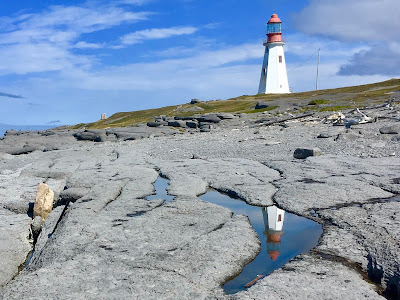 A few kilometres west of Port aux Choix on the peninsula is the "pepperpot" Point Riche Lighthouse. 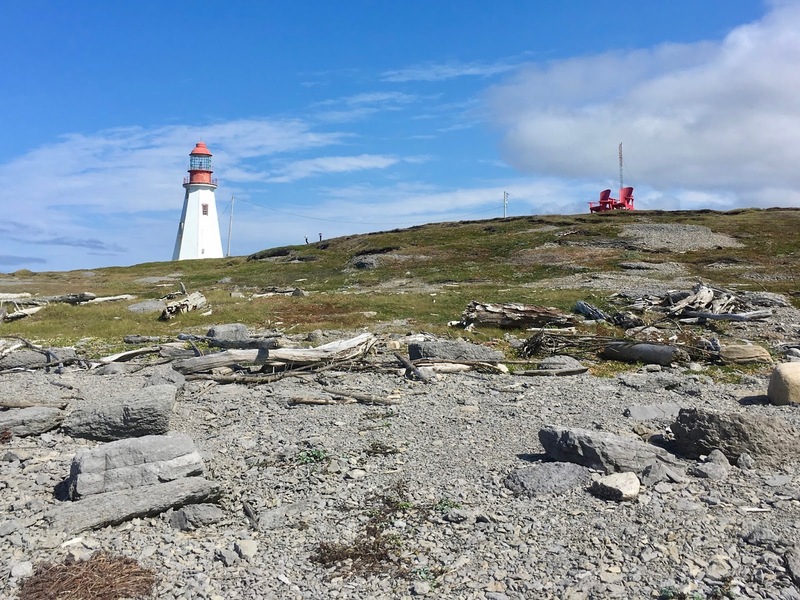 This wooden, octagonal pyramidal in shape lighthouse was built in 1892 and is 19 metres or 62 feet tall. 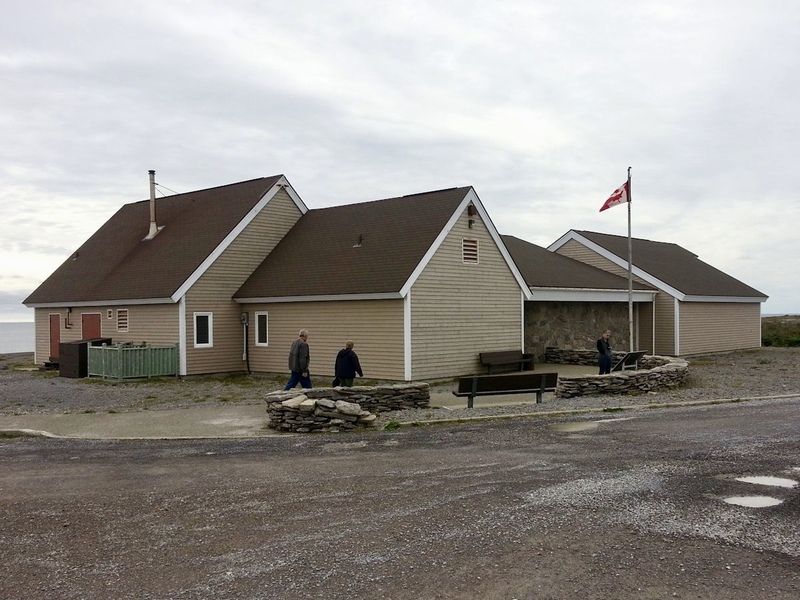 It is still operational, flashing its beacon every five seconds. The surrounding landscape is hauntingly beautiful and seems to go on forever. 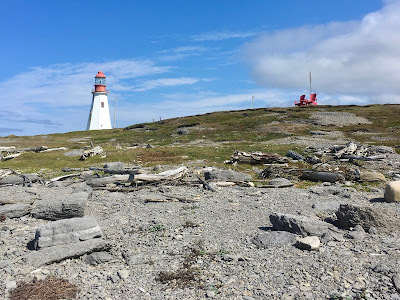 Just a short distance from the lighthouse on the way back to town is the Port aux Choix Parks Canada's Historic Site. 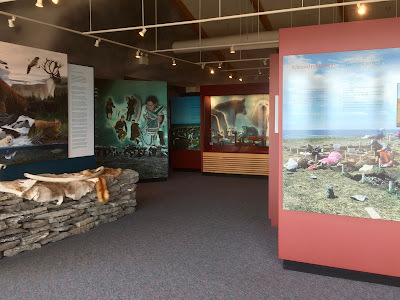 This area was inhabited by four ancient cultures for thousands of years prior to the Europeans who arrived much later. 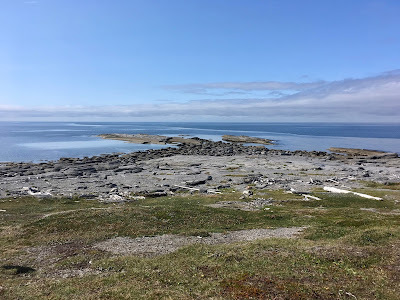 Like the latter they came here to hunt seal. We were impressed by this centre and its helpful staff. 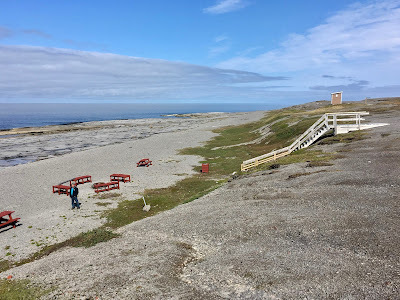 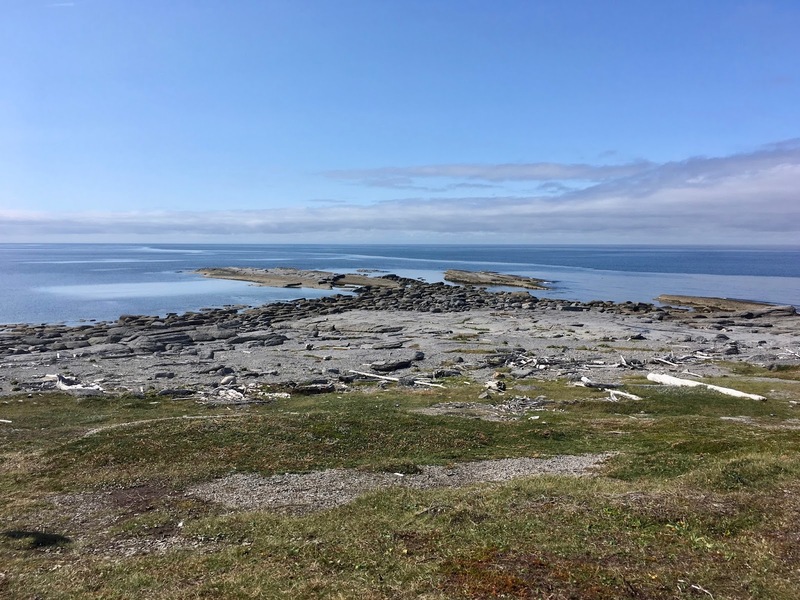 We'd arrived just after a bus tour and as one might expect given the region the focus of their visit was the importance of the seal hunt. 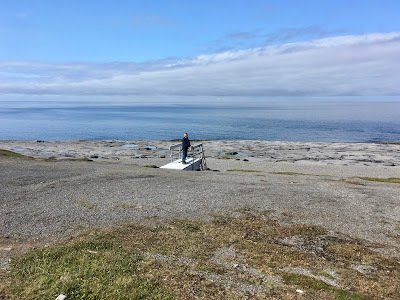 Imagine our surprise when we too were offered a sample of fresh seal meat. 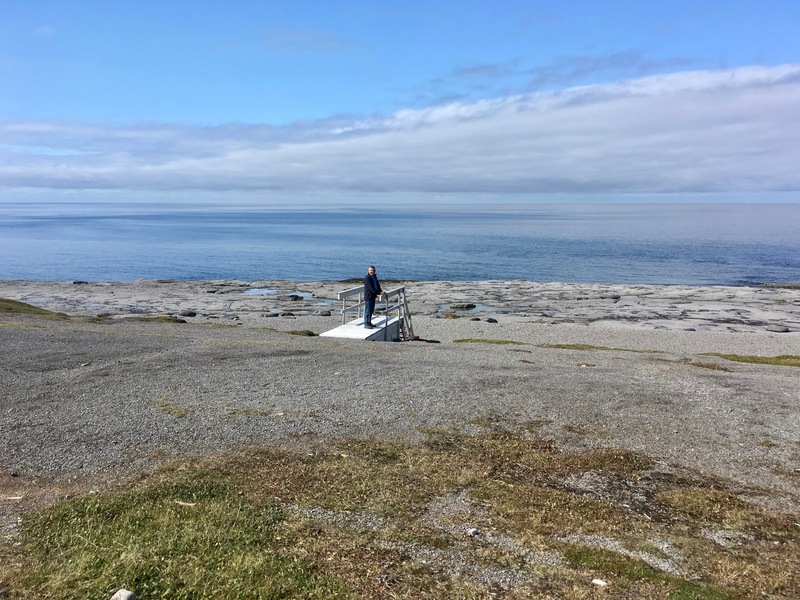 Talk about a first! John captured the taste best when he described it as being "meatier than sardines". 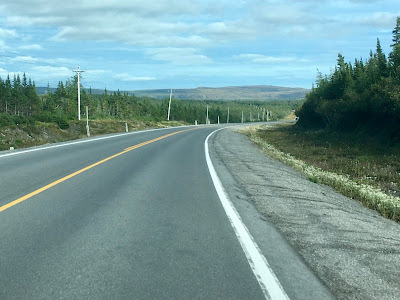 Back on the road once more we continued north. And once again we spotted rolling hills in the distance. 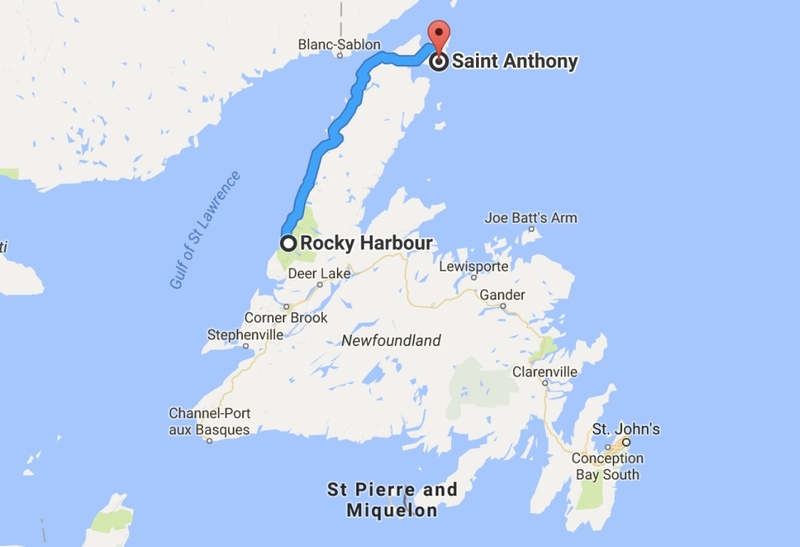 A short time later we finally reached St. Anthony.